Are you a fan of vintage items? There’s something special about treasures from the past and some people just can’t get enough of it. Who can blame them? Some vintage markets have the most extraordinary items like retro T-shirts, unique decor, or even homemade items. Plus, these markets support local vendors so what better way to support your small businesses in Pittsburgh! If that sounds like you, then definitely mark your calendar for these nearby vintage events! 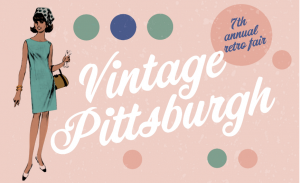 This coming Saturday, get your shopping bags ready because Vintage Pittsburgh Retro Fair is back! Between 10 am through 3 pm, you’ll be able to shop unique, vintage items like clothing, home decor, vinyl records, and so much more! 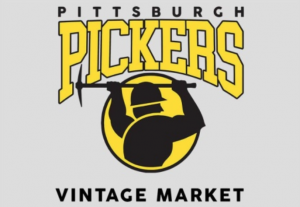 From noon to 6 pm, enjoy the many vintage items from 20 different local vendors and collectors. This event is hosted by Retro Gems and Zeds LLC. Did we mention admission is completely free? Check out the vendor list through the Facebook page. Just imagine two floors filled with unique and unusual pieces from over 30 local vintage sellers. Yep, you read that right. 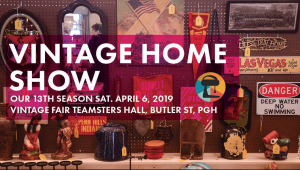 You’ll find authentic, vintage items and collectibles at the Pittsburgh Vintage Mixer Home Show! Starting at 10 am (8 am if you have early bird access) to 5 pm, this vintage fair brings local collectors and small vintage businesses together to highlight, “community, creative inspiration, and nostalgia.” Tickets are only $5 for adults and free for kids under 12 years of age. The event is being catered by Badamo’s Pizza, Espresso a Mano and The Allegheny Wine Mixer Inc! Get all the details from the Facebook page here. Want to shop for more vintage pieces? Check out the several antique shops right in our backyard of Shadyside, Pittsburgh. 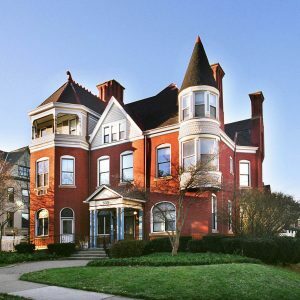 If you walk through Shadyside today, you will experience charming Victorian homes, many unique shops, and eateries, as well as one of the most historically rich areas of Pittsburgh. 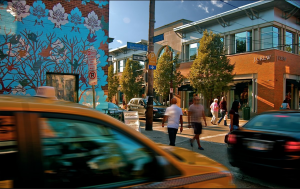 Shadyside has also been known as one of Pittsburgh’s best neighborhoods. This awesome claim to fame comes from the fairly, convenient public transportation, nightlife, nearby universities, and walkability. We’re visiting some of the key places which led to Shadyside being known as a millennial hot spot. First, let’s talk about Shadyside’s walkability. What we’re trying to say is you can literally walk to just about everything you may need. Restaurants, local shops, grocery stores, and so much more are within a ten-minute walking distance. Shadyside’s quiet, tree-lined neighborhood is simply a joy for anyone who likes to go for a little stroll after work. Plus, this neighborhood always has events going on. From the summer long, Sunday morning farmers market to the Annual Sidewalk Sale and the Arts Festival. Check out Think Shadyside’s Facebook events to keep up to date on upcoming events. Photo from Think Shadyside Facebook page, credit goes to Richard Prescott. Moving on to living necessities like the food scene, services, gym and everything in between. There is a Whole Foods on Centre Ave and a Trader Joes on Penn Ave, so your grocery needs will undoubtedly be met. The food scene has a variety of options as well. You can find American bistro, Asian cuisine, authentic Mexican dishes and so much more. Click here to discover some favorite restaurants in Shadyside that happen to have awesome happy hours! If you already live in Shadyside or are thinking of moving to the area, Think Shadyside has the low down on all the things you need to know. If you’re the type of person who likes to stay fit, Shadyside has a variety of gyms and yoga studios for you to check out. The Barre Code is located on South Aiken Street. This gym focuses on cardio, strength, restoration, and most importantly, empowerment. Harmony Pilates is another great fitness choice located on South Highland Ave. Their crew focuses on how movement or exercise can improve your daily life. When you live in Shadyside, you are just steps from the best that the East End’s diversity has to offer. 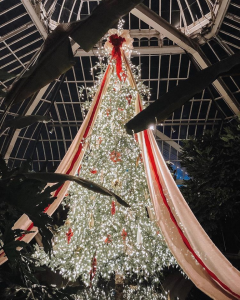 From checking out the lush gardens at Phipps Conservatory, catching a show at the Kelly Strayhorn Theater, or shopping locally for the latest styles at Hey Betty. 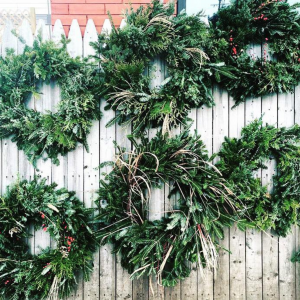 We feature many of these local businesses through our Instagram feed but here are a few of the outdoorsy places we believe capture the essence of East Shadyside. One of your first stops needs to be Shadyside’s Walled Garden at Mellon Park, just across Fifth Avenue. You’ll find this gorgeous, stroll-worthy location behind the Pittsburgh Center for the Arts and the Phipps Garden Center. The Walled Garden was developed on the Mellon Estate back in 1912. Need a second to escape the chaos of life? The Walled Garden is the go-to place to relax. Plus, during September 7th through the 9th, head out to A Fair in the Park for the annual contemporary fine art and creft festival. If you have a love for historic charm, Shadyside has a few landmarks you need to check out for yourself. As you head toward the heart of Shadyside, you’ll find Howe Springs. This structure was originally built in 1896 then renovated in 1912 by notable Pittsburgh based architect W. H. Van Tine. It’s located between S. Highland Ave and College Street. The Howe Family was inspired to create the spring to represent free water accessibility for all following the devastation of Johnstown Flood in 1889. Howe Springs became a City Historical Landmark by Preservation Pittsburgh in January of 2016. Lastly, the Hunt Armory on Emerson Street was completed in 1916 and designed by Pittsburgh architect W.G. Wilkins Co. It has been listed in the National Register of Historic Places since 1991 and received historical landmark status from the City of Pittsburgh in 2014. From Franklin West’s perspective, Hunt Armory is near and dear to our hearts. Did you know that our office, 272 Shady Avenue, was once owned by Alfred Hunt. Indeed, ALCOA was founded in what is now our front office. Before the Pittsburgh Civic Arena was completed in 1961, the Hunt Armory was the largest auditorium in Pittsburgh hosting concerts and political events. In October 1948, the Hunt Armory staged Harry S. Truman with a crowd of 25,000. Another famous event happened in 1969 when Led Zeppelin’s North American Tour came to the Armory. The future of the Hunt Armory has been the subject of much discussion. Aiming to both preserve its architectural heritage and to creatively re-use it for the benefit of all, development plans are in the works for it to become the first, and only, year-round ice hockey and figure skating rink in the city. So where does Franklin West Apartments fit within one’s love for Shadyside? We take pride in preserving and renovating many of the Victorian-era mansions in the Shadyside area. Our residents just adore the character and charm of our apartments. 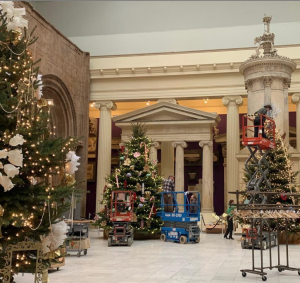 Over the years, our team has selected and carefully restored buildings of historic value and preserved the original characteristics of the time period. By pairing contemporary interiors with high ceilings, fireplaces, hardwood floors, and original stained glass, we create unique, comfortable residences of architectural beauty and integrity. Interested in the history of your home? Our website showcases the interesting backgrounds on many of our buildings. If only these walls could talk! Take a look at our current listings. Still unsure if Shadyside is the right place for you to call home? Check out our Instagram feed for the best our neighborhood has to offer from local shops to eateries, and seasonal events to things-to-do on a Friday night. At Franklin West, apartment living is our bread and butter. We value making sure residents are able to comfortably call our apartments home. Though occasionally, the sunny season throws a few curve balls in apartment life. Today, we’re arming you with convenient, easy, and life-changing tips so you can get back to enjoying Pittsburgh’s summer activities. Summertime in city apartments can get a little too roasty toasty for comfort. Your home should bring cool relief after working all day. We rounded up nifty little tricks to help you stay cool without having the AC on high. Keep curtains closed during the day. Up to 30% of unwanted heat comes from your windows, simply closing and covering the windows can dramatically impact indoor temperatures. Spray ice water on your curtains! When a breeze comes, your curtains become a homemade air conditioner. Toss a water bottle or two in the freezer during the day so by bedtime, you have an ice pack to keep your bed chilled. Consider replacing your flannel sheets with lighter, cooler alternatives. Pillows, too, like natural buckwheat hull, are actually designed to keep heat away from your head while you sleep. Place fans strategically around your apartment to circulate the air and create the perfect cross breeze. Go old school by placing a shallow bowl filled with ice in front of a fan for a nice cool mist. If you have ceiling fans in your apartment, set them to rotate counter-clockwise during the summer. If you do not know how to do this or if they are out of your reach, please call our office and one of our maintenance technicians would be glad to do it for you. Save on your electric bill by keeping lights turned off when not in use. Your stove, oven, and dishwasher create more heat when in use. So, avoid using these during the day. Do laundry in the evening. Generating a lot of heat and humidity, whether you have your own washer or dryer or shared laundry in the building, remember that heat rises. Your upper floors neighbors will thank you! Exhaust fans aren’t just for smells. When cooking, use the exhaust fan to draw out excess steam and humidity. The same goes for the bathroom. Without it, all of the humidity that builds up will leak out making your apartment feel a lot warmer. Have an overabundance of electronics? Even when not in use, computers and televisions generate heat. When these items are not in use, consider unplugging them. Doing this will help your electric bill, too! Close off the rooms/areas you are not using so that the cold air stays where you want it to be and doesn’t go where you don’t want it. If your apartment has central air conditioning, set your thermostat as high as comfortably possible. The more cooling you do with your central or room air conditioner, the higher your electric bill will be. Setting the thermostat to a colder setting than normal when you turn on your air conditioner won’t cool things down any faster, and if you forget, you’ll end up paying for it when the bill comes. Also, don’t place large appliances near your thermostat. These emit heat and can cause your central AC to run longer than necessary. If your apartment has wall-unit air conditioning, only turn it on in the room(s) you want to have cooled and turn it off if you are no longer using that room. Whether you have central air-conditioning, wall-unit or window air conditioning, make sure that your registers and filters are clean and that they are not being blocked by furniture or other items. We want to make sure our properties are a haven from the summer heat. Residents are encouraged to call right away if you find that your air conditioning unit is not functioning properly. For best service, report air conditioning problems early in the workday. This way our maintenance technicians will have sufficient time to diagnose the problem, can purchase any parts that may be needed, and then fix the system for you. There you have it. All the do it yourself tips and old school tricks to keep you and your family cooler than cucumbers. Besides, if all else fails, we hear homemade popsicles become a wonderful family activity and a perfect remedy for any summer heat! If there’s one thing we can say about Pittsburgh, it’s that we know how to throw an Independence Day celebration. Our city, businesses, and locals all come together to celebrate freedom during this patriotic holiday. Enjoy Independence Day, start to end, with a bang! Pittsburgh’s Flashes of Freedom celebration is a free, must-go experience. You can expect patriotic ceremonies, re-enactments, children’s activities such as patriotic crafts and animal balloons, food vendors, live music, and so much more. Don’t even get us started on the fireworks. Pittsburgh won’t leave you disappointed. Point State Park may only be 20-minutes from our Shadyside apartments, but that’s no reason to deal with the hassles of parking downtown. Residents can conveniently take the PAT bus lines straight into downtown. Looking for something in walking distance? The Frick Pittsburgh is hosting their own Fourth of July celebration including an outdoor hot dog bar at the Cafe with gourmet toppings and refreshments. Plus, Christopher Mark Jones & The Roots Ensemble will play live folk, blues, and Americana music on the lawn from 12 to 2 pm. Grab the kids, a blanket, and stop by The Frick for a wonderful afternoon. Add a little piece of Pittsburgh to your party! Here are five ways to turn that gathering into a yinzsplosion. For porch decor, pair the red, white, and blue with the old black and yellow. Have those two flags waving side by side in the wind for a beautiful, vision of ‘burgh pride. Hot dogs are good, but any Pittsburgher will explain kielbasa is better. Top it off with a shamefully large amount of sauerkraut and Heinz Ketchup and you have yourself one patriotic sandwich. Pittsburgh snacks are simple. All you need for an Independence Day party are 5 bags of freeze pops and one impressive red, white, and blue cookie table. Believe us, there won’t be any complaining kiddies with those treats! Bonus: Did you know you can fish anywhere in PA without a license on Wednesday, July 4? Your whole family can enjoy the natural outdoors and bring home the supper! Even out of state visitors can join in on the fun. We highly suggest visiting Highland Park in the East End of Pittsburgh. The incredibly lush park will have you fishing for hours without care. See details of the first Youth Fishing Derby this Saturday, July 7th, at Highland Park’s Lake Carnegie. Wherever your plans take you this 4th of July, we are wishing our Pittsburgh family one exciting and safe holiday! Fill Your Calendar With These Shadyside Summer Activities! After enduring second and third winter, plus the endless bounds of rain for the first couple months of the year, Pittsburghers welcome the sunny season with open arms. We have the details of Shadyside’s summer events. As the most friendly, and very walkable place in Pittsburgh, Shadyside erupts with exciting and affordable experiences! This isn’t the time to just work on a tan. The warmest season of the year means enjoying all of the unique activities the area has to offer. From weekly outdoor movies to the musical block parties that benefit our city’s pups. There are so many places to see and things to do in Pittsburgh this season, many of them are even free! Here are the plans you need to mark in your calendar. Thanks to Dollar Bank, Pittsburghers are able to bask in the warm weather and enjoy the latest movies for free! Make it quality time with family, a friends night out, or even a date to remember. Any local will say movies in the park are one of the most enjoyable events that happen in the Burgh. Playing every Sunday in Schenley Plaza and Wednesdays at Schenley Park on Flagstaff Hill. Movies begin at dusk so grab the popcorn and we’ll see you there! Each Friday from June 15 to August 31, The Frick will be featuring a variety of outdoor performances, family-friendly activities, and dining options. The north lawn will have games fit for every member of the family. Also, the first floor of the Clayton mansion will be open to tour at your own pace, free of charge. You won’t want to miss a chance to see the rooms of this historic home in the summer evening light. Feel free to bring your own blanket and picnic basket, choose to stop in The Café, to grab a bite to eat, a glass of wine, or a beer, or explore a variety of local food trucks. Performances begin every Friday at 6:30 p.m.
To see a complete schedule click here. The annual Jam on Walnut outdoor concerts is a Shadyside favorite. Explore the multitude of Shadyside’s local bars and restaurants or come early and do some shopping. Not only are these performances full of fun and great music, they’re also the perfect way to get outside and enjoy the fresh air. The five outdoor concerts all benefit Humane Animal Rescue and will be held on June 23, July 21, August 18, September 22, and October 20. Want to know who’s performing? Go to Jam on Walnut 2018 Facebook page. It may be open 365 days a year, but summer is simply more special. From bringing dinosaurs back to the Festival of color, The Pittsburgh Zoo is an awesome place for families. There are new adventures every weekend. For a half hour, the wild animal encounters gives you the opportunity to play zookeeper with animals like the rare and endangered red panda. Plus, have you heard about the new Zipline? At the highest point of the Zoo, coast through diverse ecosystems and a lush jungle just below your feet! Situated right in Shadyside, Mellon Park is the ideal location to relax, read a book, catch up on some work or enjoy a picnic. 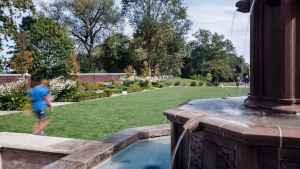 The hidden sanctuary is rich in history and known for its Walled Garden located right behind the Pittsburgh Center for the Arts building and the Phipps Garden Center. Mellon Park is home to many wonderful, family friendly events like Bach, Beethoven and Brunch! Also, stop by the park to find the freshest local produce and baked goods at the weekly farmers market, held every Friday afternoon. As you can see, summer activities don’t have to break the bank, many things are even free for the public. Before we know it Pittsburgh will be back to snow and ice so don’t pass up the chance to enjoy the sun and warm weather at all of the outdoor Pittsburgh events this summer. We hope this list inspires you to get outside and try new things, venture to a new place and meet someone you otherwise wouldn’t have, or commit to taking yourself out of your everyday routine to mix things up. Make this summer one to remember. Now, what are you still waiting for… go celebrate! When all else fails… call Dad! Fathers have always been there to pick us up when we’re down. They somehow always know the right thing to say. They’re the best at telling jokes… even though sometimes they’re really not that funny (sorry dad!). They’re always ready to come to the rescue. At the end of the day, they never ask for anything in return. This Father’s day is the perfect day to show your father how much you truly appreciate all of the things he’s done for you, along with all of the laughs and advice he’s given you over the years. Girasole – Filled with rustic Italian dishes and stonewalls, Girasole is the perfect place to celebrate Father’s Day. The traditional yet fun atmosphere pairs perfectly with the seasonal, modern-Italian, menu based on the freshest and highest quality products. Come hungry. Stack’d – Burgers and beer, what more could a dad want? This restaurant allows you to perfectly customize your meal with anything you could possibly imagine from fritos all the way to a fried banana. They will also be featuring $2 Mimosas & Bloody Mary’s from 11 a.m. – 2 p.m. on Father’s Day. Shady Grove – Looking for a restaurant that will satisfy everyone’s cravings? Shady Grove offers a wide variety of foods and daily specials, there’s sure to be something for everybody. You can also enjoy a signature Adult Capris Sun for only $5. Evolve Wellness Spa – Give your father the gift of relaxation with a massage, facial, or beard facial at Evolve. Now offering special rates for Father’s Day. Pittsburgh Zoo & PPG Aquarium – Looking for a day full of adventures for the whole family? Fathers of all generations will receive free admission to the Pittsburgh Zoo when accompanied by one or more of their children. Frick Environmental Center – If you’re looking for a way to keep active and enjoy the outdoors with your father, this is just for you. Sign up for a free Father’s Day hike with a naturalist educator and experience bursts of color while you learn about the many plants and insects at work. Make this a Father’s Day to remember for the ones you love most. We get it. Recycling sometimes seems like a chore rather than doing a good deed. Having to sort and keep trash separate can become a tedious task for life in an apartment. Not to mention, finding the space to keep the trash separate. Next thing you know, the mail and milk cartons are stacking up at your apartment door because you forgot to take them out with the regular trash. Republic Services, the company contracted to haul waste from many of Franklin West apartment buildings, wants to take the difficulty out of recycling. At the beginning of 2018, Republic Services introduced mandatory All-In-One Recycling. This means using one container! With no more sorting, you will be reaping the many benefits of doing your part to save the world while saving time and space. Here’s a refresher on what you can and can not put in your apartment building’s recycling container. Cardboard & Cardboard Boxes: Just toss it in the bin! This move to All-In-One Recycling stems from a global effort to dispose of waste more efficiently. The New York Times reported a worldwide backup in disposal efforts when China announced just last year that it would severely limit the amount and types of waste that is brought into the country. The very familiar “blue” plastic grocery bags not only interfere with the ability to process and sort recycling efficiently, but they are among the items specifically being targeted by China’s new ban. In short, many materials that were once deemed recyclable, no longer are. With this ban, many municipalities where Franklin West properties are located are now having to quickly revise their guidelines in response. Once revised municipal guidelines are published in response to these new rules, we will certainly let you know. Efforts in protecting the environment don’t just lie with you. This is a global stand to maintain a safe environment for generations to come. With the help of Republic Services easy All-In-One Recycling system, you too can help paint the bigger picture. 9 Ways to Say Thank You on Mother’s Day. Mothers dedicate every waking second to the happiness of their family. They were up at the crack of dawn to make sure you got on the yellow school bus, and had their phones ready in case you had an emergency while in college. They cut the crusts off your sandwiches when you were five, and still at your side twenty years later to help move you into your first place. Essentially, you’re a functioning human being because of your momma so she deserves a day commemorating her life’s work. It’s time to stray from giving the same old $20 gift card. Here’s a list of 9 things you can do or buy for your mom this Mother’s Day. Called the most delicious, authentic French cuisine by Pittsburgh locals for seven years in a row, Paris 66 will give your best gal a taste of France without getting on a plane. A charming ambiance, this bistro is hosting a Mother’s Day Brunch from 10 am to 4 pm on Sunday, May 13th. There’s no need to keep scrambling for places to eat. The Yard has the Mother’s Day menu every Pittsburgh mama wants. Plus, treat your mom to a bloody mary bar and basically bottomless mimosas. With a warm and cozy atmosphere, Cashbah offers a unique dining experience with a year-round garden patio. To help you celebrate the lovely lady in your life, Cashbah is extending their brunch hours from 11 am to 2 pm. Though places like Mansions on Fifth and La Feria, may not have a Mother’s Day menu, the food genuinely speaks for itself. Either restaurant would also be a delicious choice. A portal of discovery, Anthropology offers a variety of women’s apparel and accessories, intimates, home furniture and décor, beauty, and gifts. Find gift inspiration especially made for your mom in mind on the official website. Plus, stop by the Penn Ave location for a Mother’s Day event from 12 to 5 pm with special treats, crafts for kids, and much, much more. Promising to nourish people’s lives, Williams Sonoma carries high-quality products for the everyday home. They have options for the baking mama, the gardening mama, and gift baskets for the mom who deserves some time to herself. Williams Sonoma can make personalized gifts too. Order before the end of Wednesday to get your gift in time for Sunday or just stop in the Shadyside store location. Why settle for any gift when you can give mom a unique one? Since the 70’s, the founders at Four Winds Gallery committed to bringing the Pittsburgh community extraordinary Native American jewelry and art. Though, slightly on the pricier side, the Mother’s Day jewelry collection from Four Winds Gallery is absolutely exotic and immersed in culture. Get some help finding a gift for mom from the Four Wind’s team at the Shadyside location. Still not sure your mom would appreciate gifts from the local stores above? Offering classic Mother’s Day gifts, check out these honorable mentions: Eureka! Chocolates & gifts and Alex’s East End Floral Shop. Celebrate Mother’s Day by enjoying “mom and me” time at Evolve Wellness Spa. It’s quality time in the most relaxing way. Click the link above for all the info you need to know. A massage might not do the trick, but maybe laughter will. After all, the best form of medicine comes from a chuckle or two. Take your mom out for a few laughs at Steel City Improv. Just know that shows are only Friday and Saturday nights, so plan wisely! Looking for something to do for the majority of Sunday? Spend a couple hours at The Frick! Explore historic and art focused exhibits, stroll through the scenic gardens, and enjoy a Mother’s Day brunch. There you have it. Your mom has been there for the good, the bad, the smelly, and for all the excitement life has to offer. So, why not go above the norm this year and show your mom how genuinely grateful you are.